On May 16, 2018 Trey Evans and Matt Hughes from Mitigation Management were given the opportunity to address the entire EPA National Wetland Program body during their annual conference in Atlanta, Georgia. 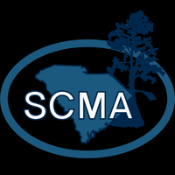 The presentation was primarily a review of our Etowah River Road Mitigation Bank, which is the most recently approved commercial mitigation bank in the State of Georgia. 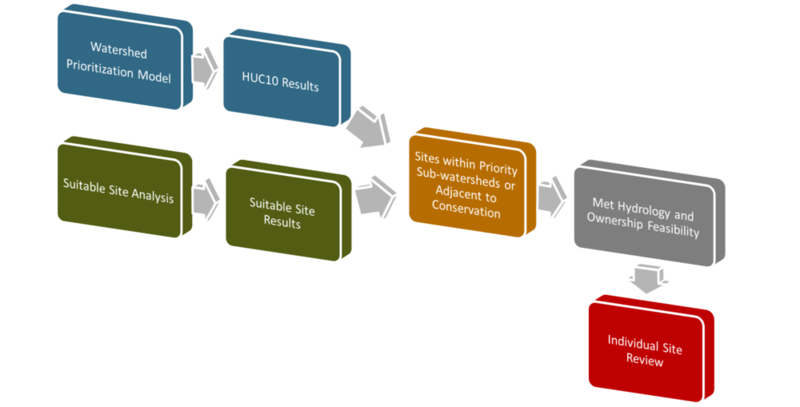 Project specific topics covered included level of capital investment, land acquisition and permitting timelines, construction and habitat creation techniques, hydrology modeling, and new monitoring and credit release protocols. We also discussed mitigation banking within the context of the overall “Restoration Economy”, the use of newly available technology (primarily LiDAR and Drones), and innovative methods for siting new mitigation and conservation projects. We were very honored and grateful to have the opportunity and enjoyed speaking with these very talented natural resource managers! 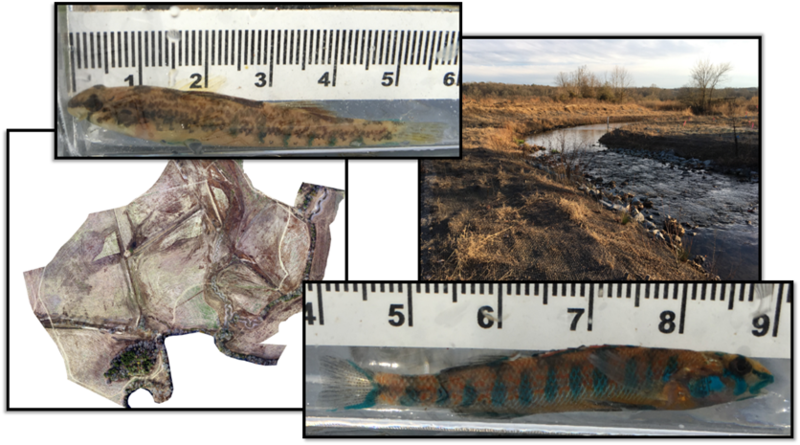 · Biology improvements, including nearly a 400% increase in the number of Federally listed Cherokee Darter (Etheostoma scotti) in Proctor Creek. 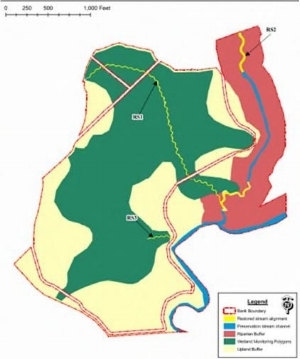 October 20, 2015 – Atlanta, GA. – Mitigation Management (MM) has obtained the necessary federal, state, and local permits to improve habitat and water quality on 164 acres of wetlands, streams, and riparian buffers along the Etowah River in Dawson County, Georgia. The project, known as the Etowah River Road Mitigation Bank (ERRMB), is the first commercial mitigation bank permitted by U.S Army Corps of Engineers in Georgia since mid 2013. ERRMB is a commercial bank providing wetland and stream mitigation credits in its designated service area to offset unavoidable impacts to waters of the United States that result from activities authorized under section 404 of the Clean Water Act. The landowner and bank sponsor for the ERRMB is Mitigation Resource Group, LLC (MRG), a joint venture between principals of MM and Fox Creek. Hat tip to Mit Mail, who is looking to Massachusetts where a strict NNL policy dependent on on-site mitigation has backfired badly, leading the state to move toward third-party compensatory mitigation in search of better ecological results. Hat tip to Mit Mail: An obscure lawsuit filed by a Matanuska Susitna wetlands mitigation bank could have national implications. The suit, now in Federal Claims Court, alleges breach of contract by the US Army Corps of Engineers, and land developers are closely watching the outcome. Mitigation Management is excited to announced our merger with Headwater Science effective January 1st, 2015. Please select "view post" in the upper right corner above to read more. As cities sprawl and get more crowded, most don't have much space left for urban wildlife—at least not on land. A Dutch architect plans to begin using city waterways to build floating habitats for nature. This story takes you to Appomattox, Virginia where a farmer is using an innovative approach to keeping runoff out of the Chesapeake Bay. By planting trees on retired cropland, the farmer is helping to filter pollutants from streams in the watershed – and those benefits are sold as credits to developers, who must address water quality in state construction projects. Law360, New York (November 03, 2014, 6:50 PM ET) -- The U.S. Court of Federal Claims dismissed a so-called wetland mitigation bank’s $1.4 million breach of contract suit against the U.S. Army Corps of Engineers on Friday, finding that while the contract between the agency and bank was indeed valid, the lawsuit was filed eight years too late. Once routinely trapped and shot as varmints, their dams obliterated by dynamite and bulldozers, beavers are getting new respect these days. Across the West, they are being welcomed into the landscape as a defense against the withering effects of a warmer and drier climate. The Environmental Protection Agency (EPA) is bringing back a retired leader from its Atlanta office to be the No. 2 official for the agency. WASHINGTON – Secretary of the Interior Sally Jewell and U.S. Fish and Wildlife Service Director Dan Ashe today announced nearly $35 million in grants to 20 states to enable collaborative efforts to conserve many of America’s imperiled species, ranging from the red cockaded woodpecker in the Southeast to a variety of bat species in the Midwest to a colorful flower in the Rocky Mountains. The latest delay of a draft environmental impact statement for the proposed Glades Reservoir will likely cost Hall County hundreds of thousands of dollars. State and Savannah area lawmakers, along with a panel of citizens charged with advising the Georgia Department of Natural Resources, are calling for the restoration of recently revoked protections to the state’s salt marsh. A $181 million fund to restore a large portion of the East Orleans Land Bridge didn’t come from local, state or federal government. The money to dredge sediment and rebuild marsh is from a private investment. It’s just one example of what America’s Wetland Foundation would like to see more of for certain coastal restoration projects that could get done faster and cheaper than through the federal process.